BON Hotels announced the acquisition of Die Kliphuis, a boutique hotel located in Standerton, to augment the group’s fast-growing portfolio. 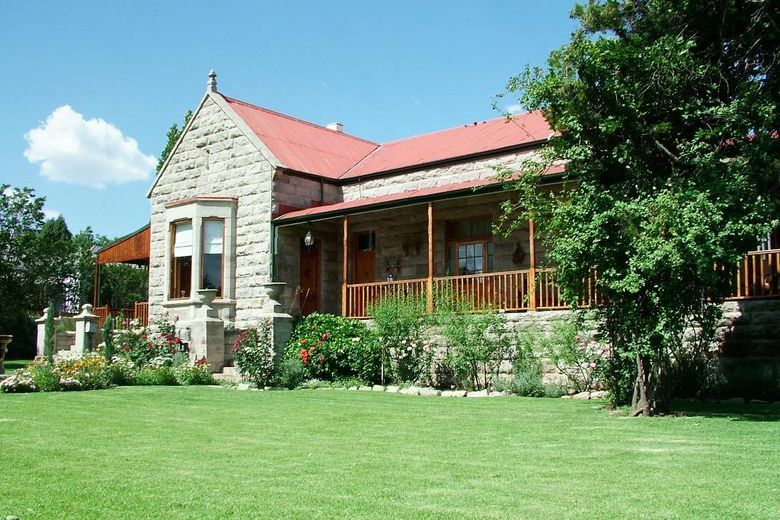 This elegant, sandstone homestead, steeped in history, has over the past 100 years served as a maternity home, a boarding house for young ladies, an officers’ mess in the Anglo Boer war and a parsonage. Set in peaceful surroundings with gracious living and a high standard of comfort and cuisine, the property will be positioned as a 4-star, boutique hotel, and renamed Die Kliphuis Standerton by BON Hotels. Commenting on the acquisition, Guy Stehlik, CEO and founder of BON Hotels, says that as part of their growth strategy they have had to scout further afield for opportunities into smaller cities and remote towns of South Africa, the gramadoelas if you will, which despite assumptions to the contrary, provide fantastic and exciting opportunities. “Die Kliphuis is a good fit for us and marks our entrance into this hub of economic growth. The commercial triangle in which the hotel is located, that being Secunda, Standerton and Evander, where Sasol is a large economic driver, is one of the fastest growing micro-economies in South Africa, contributing substantially to the country’s GDP”. By ushering the brand into these secondry and tertiary commercial hubs, the group is able to offer their expertise to owners of hotels of this smaller size to ensure that such properties reach their true potential and profitability, adding value not only to stakeholders but to their guests and BONami loyalty members as well. Further opportunities in the region are under negotiation in line with the group’s plans to build tourism circuits, linking important centres across the country to service the many commuters, and to make a positive contribution to tourism, to the hospitality industry, and to the economy. The hoteloffers a variety of room types accommodating 60+ guests, a restaurant, bar, gift shop, conference facilities for up to 50 delegates and lush gardens, ideal for intimate weddings and celebrations. For long-stay guests, they also have three apartments and two 2-bedroomed townhouses available in close proximity to the hotel. A soft refurb is planned for the restaurant, including a revamp of their menu and minor modifications to the rooms. Group Operations Director at BON Hotels, Pieter van Eck, says that they are aiming to make the restaurant the dining spot in Standerton at which to eat and be seen: “A favourite for the locals, and for those from further afield, it will be well worth the drive out from Pretoria or Johannesburg to come and enjoy a meal with us or spend a night”. Die Kliphuis is primed for the local conference and corporate sector and weekend leisure market. The ambience is cosy and warm with old school charm complemented by personal, professional, friendly service. BON Hotels, a South African-based hospitality company that owns, manages and markets hotels throughout Africa, now operates 37 hotels across the African continent, including hotels in Ethiopia, Namibia, DRC and South Africa. The West African arm, BON Hotels International West Africa, oversees the operations and management of 25 hotels across 14 cities in Nigeria. Driven by a clear ethos – “Good people. Good thinking. Good feeling.” – BON Hotels believes in creating loyalty among their guests, suppliers, hotel owners and stakeholders by bringing a fresh and relevant approach to every aspect of hotel management and operations. BON have developed a reputation for challenging the norm and raising the bar – all in the name of exceptional experiences. Backed by a team of highly experienced, resourceful and inspired individuals, CEO and founder Guy Stehlik is committed to establishing and nurturing good relationships at all levels at each property. They are a team of good people, doing good things. Developing “Africa by Africans” remains front and centre of the BON Hotel growth strategy and commitment to Africa.